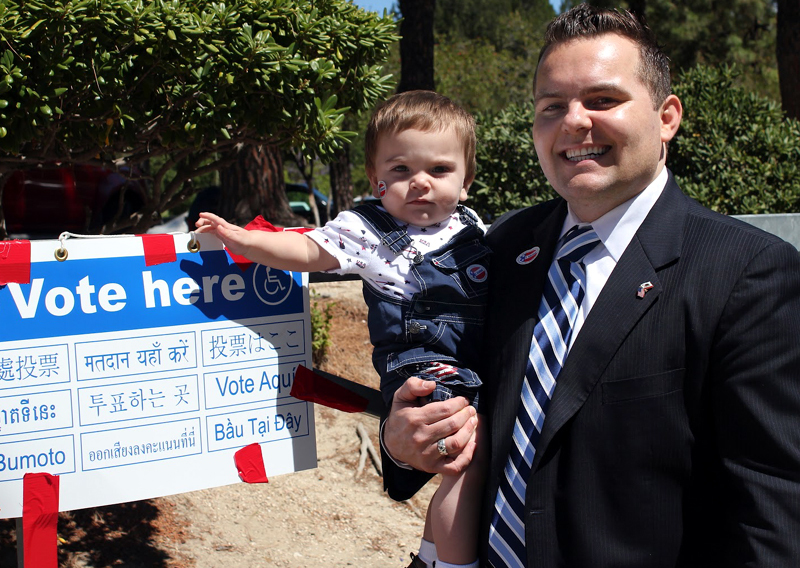 Edward Headington with 1-year-old son Narayan after voting in Granada Hills. Granada Hills Democrat Edward Headington took an early lead in Tuesday’s race to succeed Cameron Symth in the Assembly and held it with 31.6 percent of the vote. College of the Canyons Trustee Scott Wilk, a Santa Clarita Republican, closed in on Headington as the vote tally progressed throughout the night. In the end, he finished second with 31.3 percent. Be it Wilk or Headington who finished first, it only matters for bragging rights. As the top two finishers in California’s new “top two” primary system, they’ll face each other in a November runoff. Strickland and friends watch the results come in Tuesday night at Sisley's Italian Kitchen in Valencia. Two other Republican contenders for the open 38th District seat finished out of the running: First-time candidate Patricia McKeon with 22.5 percent; and Hart District School Board Member Paul Strickland with 14.7 percent. Headington was widely expected to capture one of the top two slots, since he is in the only Democrat in the race and the Republican vote was split three ways. Headington’s supporters are known as EdHeads. The race garnered statewide media attention because of the oddity of Wilk and McKeon challenging each other for Republican votes. 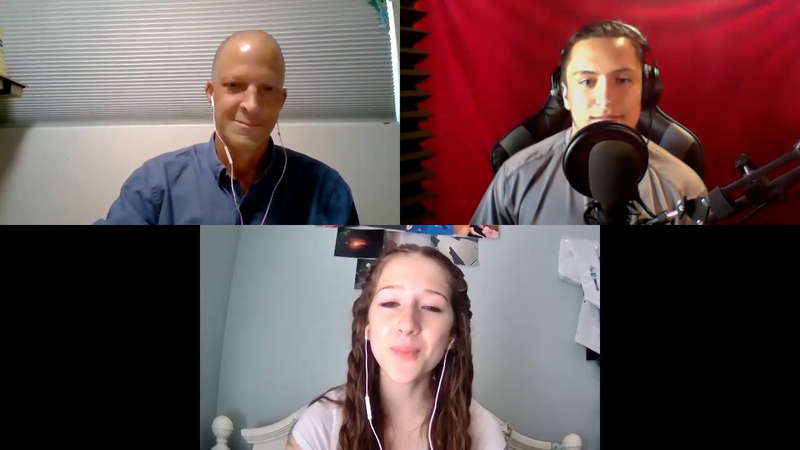 Wilk, who worked to keep the Santa Clarita Valley together in a single assembly district during the redistricting process and was the presumed front-runner for the seat, is a onetime staffer of Rep. Howard “Buck” McKeon who has been alienated in recent years from the congressman’s camp. Patricia McKeon, who entered the race after Wilk made his electoral intentions clear (but before he formally announced his candidacy), is the congressman’s wife. 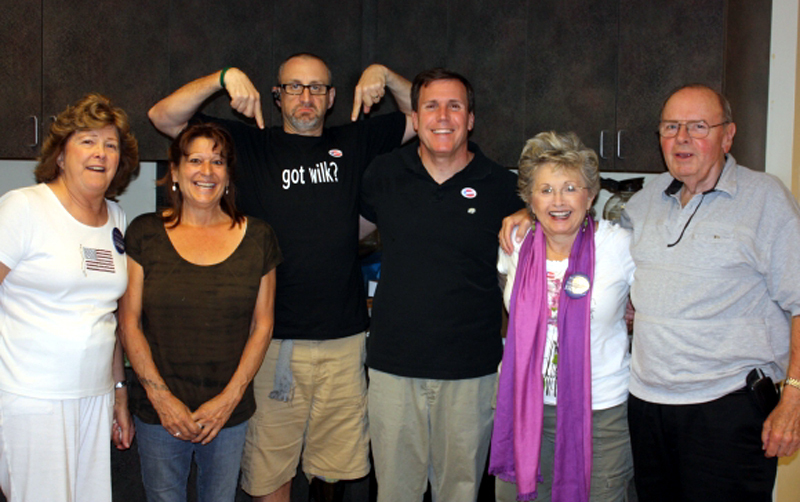 Got Wilk? Voters will get to see him in the November runoff.